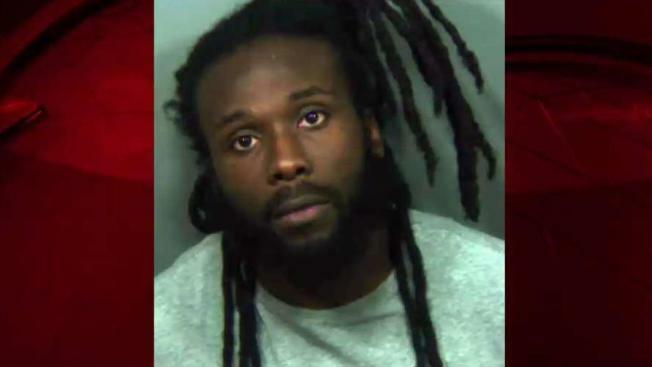 Prince George's County police shot an armed robbery suspect in Greenbelt, Maryland. “I'm not pleased when we have to use force in the course of our duties but this is a dangerous individual,” Chief Hank Stawinski said. Officers from Prince George's County and Washington, D.C., were executing an arrest warrant for 26-year-old Corey Janifer on Cherrywood Lane about 11 a.m. As they tried to arrest the suspect inside an apartment after a family member let them inside, a 19-year veteran of the police force shot the suspect once in the stomach because of he felt threatened, Stawinski said. Police said Janifer barricaded himself behind a closed bedroom door. Janifer was wanted for an armed home invasion robbery in D.C. Police entered the apartment knowing Janifer could have been armed, but according to Stawinski, they did not find any weapons in the apartment. "We never seek to use force in the course of our duties, but preliminarily it appears that the interaction between our officers and this individual behind a closed door was certainly part of what played into this confrontation," Stawinski said. Janifer was taken to a hospital in critical condition. After surgery he remains hospitalized in stable condition. Police say no officers were hurt. The officer, Cpl. James Dwyer, is on administrative leave, and the investigation continues.